I was tempted by an oddity the other day though I think it could be a problem in more ways than one. 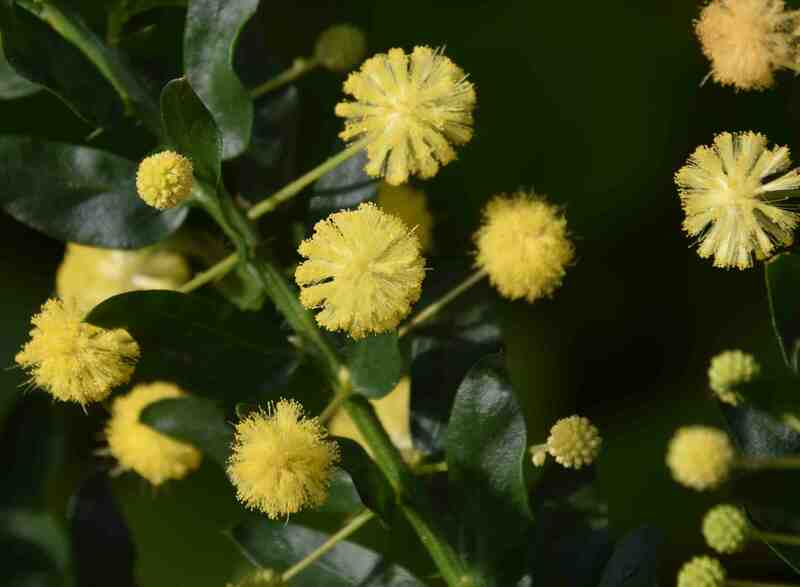 It is the kangaroo thorn or Acacia paradoxa (formerly A. armata). 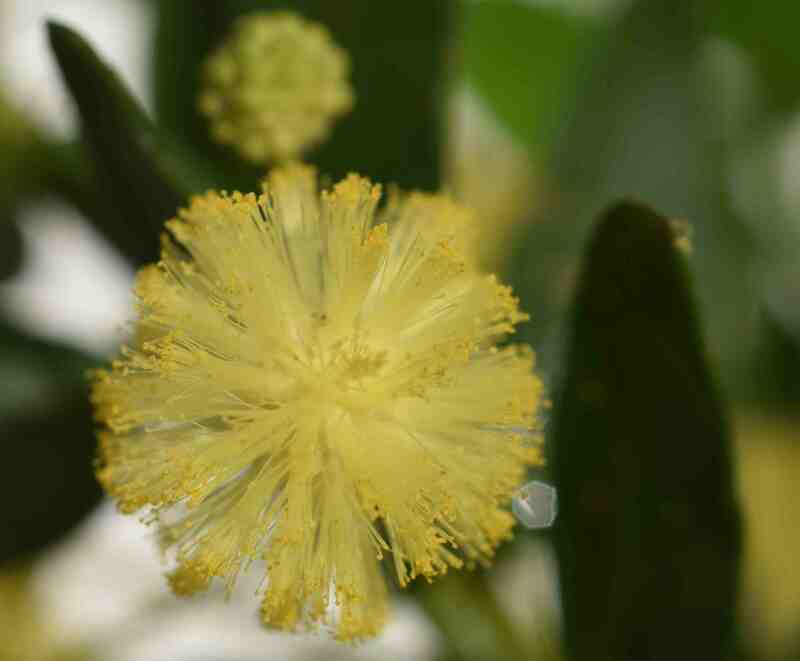 It is a small (2m) Australian acacia that has the typical yellow, fluffy flowers though, unlike in the more common A. dealbata which has complex clusters of flowers, this one has simple, spherical clusters of flowers on short stems, one per leaf axil. Of course there is always a complication and these green things are not really leaves by phyllodes. Being adapted to a dry climate the usual bipinnate (feathery) leaves of this acacia have changed and all the leaflets have dropped off the leaf and the petiole (leaf stalk) has become flattened and leaflike. Makes sense? No it doesn’t really! And just to make sure that browsing animals do not nibble it there are short, sharp prickles set among those phyllodes. 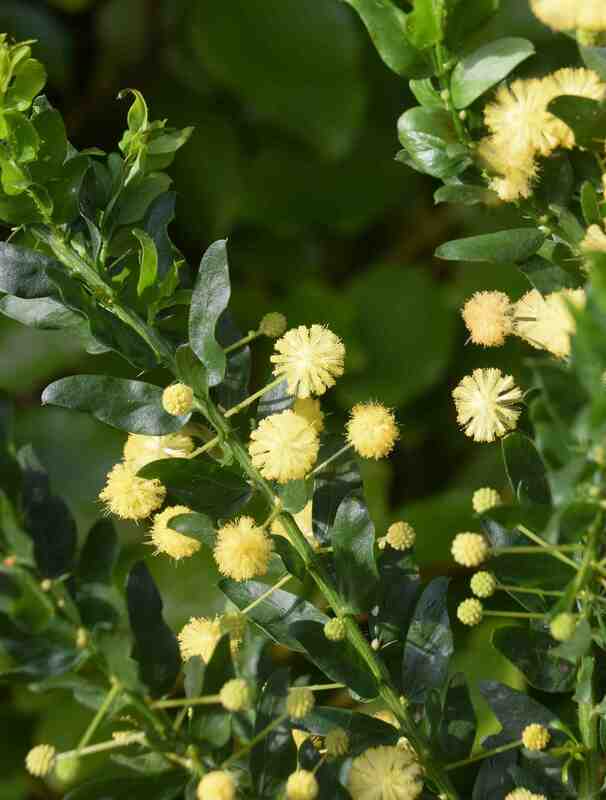 Anyway, the contrast between the pale yellow flowers and dark green phyllodes makes it an attractive plant though the flowers are not scented. This is not a hardy plant and will only tolerate the merest hint of frost (though some references say it will take -6c) so it is a plant for a conservatory or perhaps, coastal gardens, since it tolerates wind and salt spray. 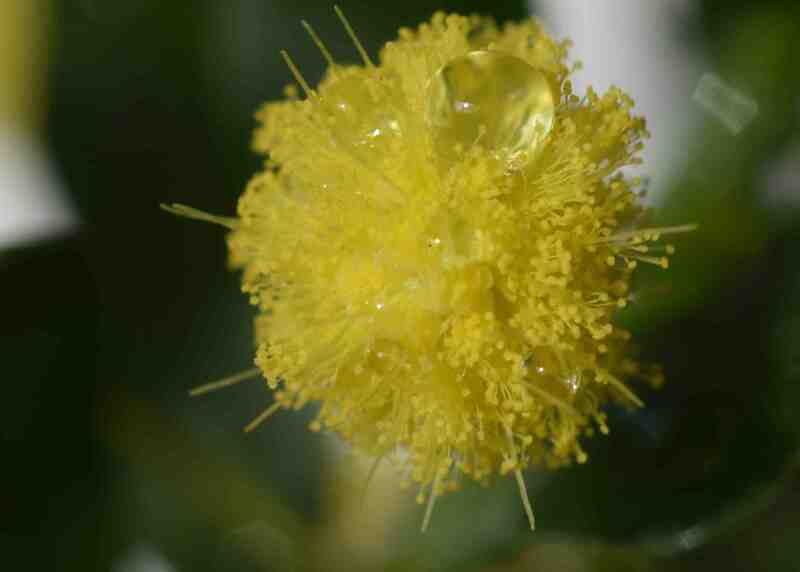 The fact that it flowers in spring makes it worth taking care to protect but does limit its desirability. It will grow well in a pot so it can be moved around and it grows best in a loam-based compost. Although tolerant of drought when established in the soil it must not be allowed to dry out in a pot or it will die. It’s very attractive, but I’m afraid I’m not tempted by a prickly plant, that’s better off indoors. Now, if it had been scented……! I know – scent would be nice – but then it would make sniffing it fraught with danger!